DiaCarta said today it has completed a $45 million Series B financing, with the proceeds to be used toward an expansion of its molecular diagnostic test offerings and NGS services. DiaCarta Founder and CEO Aiguo (Adam) Zhang, Ph.D., said in a statement that the company will use the capital it raised toward supporting its core xeno nucleic acid (XNA) technology platform for early cancer detection, by expanding its portfolio of diagnostic products for non-invasive early detection and monitoring of cancers. Part of that expansion, according to DiaCarta, will entail the commercial launch of ColoScape, a highly-sensitive, PCR-based in vitro diagnostic assay designed to detect colorectal cancer in liquid biopsy as well as FFPE tissue by identifying the presence or absence of mutations in targeted regions. ColoScape uses DiaCarta’s QClamp® TaqMan-based PCR technology, which leverages a sequence-speci?c clamp made by XNA to suppress PCR ampli?cation of the wild-type DNA template and selectively amplify only the mutant DNA template. DiaCarta also plans to expand its product development pipeline to include gene mutation and fusion panels using core technology platforms in DNA low frequency mutation detection—as well as highly-sensitive next-generation multiplexing human papillomavirus (HPV) genotyping E6/E7 mRNA tests. Also planned by the company are an expansion of OptiSeq™ Next Generation Sequencing offerings, and the launch of global clinical study programs for non-invasive early cancer detection, to include recurrence and monitoring indications. 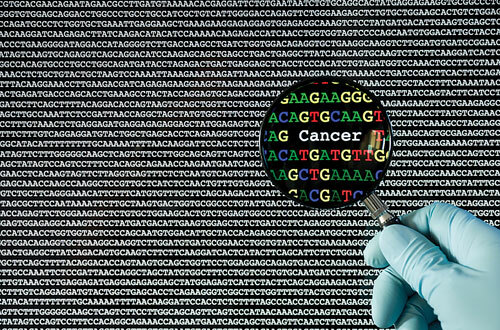 OptiSeq offers a 65 gene CLIA-validated pan-cancer panel, a 29-gene Research-Use-Only validated lung cancer panel, and customized panels for several cancers, including breast (44 genes) and prostate (32 genes). DiaCarta also intends to support its growing product portfolio, it said, by expanding its commercial team and support staff. A company announcement did not offer details. “In addition, we will be strengthening our comprehensive IP position, expanding further into global markets with concomitant applications for FDA and CFDA certifications,” Dr. Zhang added. The Series B financing was led by Fortune Fountain Capital, established in 2011 by the offspring of Wang Xizhi, China’s most famous calligrapher, with participation by Good Health Capital. Headquartered in Richmond, CA, DiaCarta operates an ISO 13485-certified facility, from which it develops, manufactures and markets a range of cancer research and IVD products. DiaCarta specializes in genomic testing for biomarkers and offers clinical sample testing services in a CLIA-certified laboratory, and has a clinical service laboratory in Nanjing, China. DiaCarta’s QClamp and OptiSeq are patented XNA-based technologies designed to enable highly sensitive detection of actionable mutations using qPCR and NGS-platforms on challenging patient specimens. Other XNA applications include CRISPR/Cas9 gene-editing event screening and adapter dimer removal for NGS library preparation.